For our next adventure in hybrid lunacy, BMW presents the 2014 ActiveHybrid 5. To really hammer home the ridiculous place this vehicle holds in the lineup, this year it sits next to the new-to-U.S.-shores 535d, a diesel offering that actually delivers on the function of efficiency, not just the form. But we’re here to talk about the ActiveHybrid 5 and its unimpressive 23 mpg city/30 highway numbers. We shouldn’t cloud the discussion with the actually impressive 26/38 rating of the 535d, a car that also delivers 413 lb-ft of torque (at a price thousands lower than the hybrid's). Instead we’ll talk about what you get for all that extra cash you’ll fork over for the ActiveHybrid 5. First, you’ll get more weight. Swapping out the torque converter in the 8-speed ZF transmission for a 55-hp electric motor powered by a 96-cell lithium-ion battery will definitely tip the scales the wrong way, especially when a second 12-volt battery is needed just to run the starter and the extra electrical bits that are usually taken care of by just one 12-volt. Second, you’ll get less responsiveness, as all that deciding between which engine to power the vehicle takes time, even for a computer. Even in the optional Sport mode, the ActiveHybrid 5 will still pause a bit before delivering full power, and you can forget about achieving anywhere near even the 23/30 quoted above unless you’re in the frustratingly slow and boring Eco Pro mode. Let’s talk about the good. The ActiveHybrid 5 can still jump to 60 mph in just 5.5 seconds, and it's capable of motivating by electric power alone up to nearly 40 mph—for 2.5 miles. Going downhill, the gasoline engine will disengage and shut off, allowing the car to coast along silently at up to 100 mph, but again you’ll need to have Eco Pro mode engaged to enjoy such benefits. Also, the ActiveHybrid 5 offers additional technology above and beyond the norm. A rear-view camera and Surround View are included to help you see around your vehicle, as well as Park Distance Control, Parking Assistant, Active Blind-Spot Detection, Lane-Departure Warning and Night Vision with pedestrian recognition. 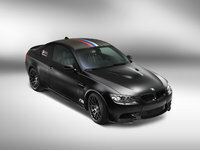 For a car that’s supposed to be built for the driving enthusiast, it seems BMW assumes its typical customer is blind. However, none of this is enough to overcome the irrationality that is inherent in the design—let alone the price—of the ActiveHybrid series. With traditional gasoline alternatives offering equivalent efficiency with less weight, less complication and more power, the choice is obvious. Ignore the hybrid, save some money and some fuel. What's your take on the 2014 BMW ActiveHybrid 3? 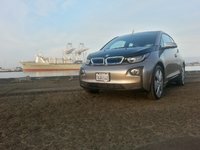 Users ranked 2014 BMW ActiveHybrid 3 against other cars which they drove/owned. Each ranking was based on 9 categories. Here is the summary of top rankings. 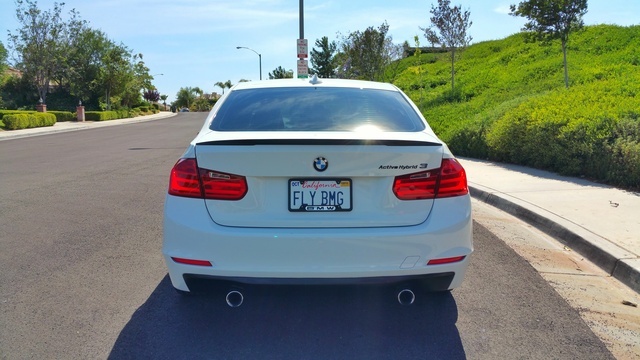 Have you driven a 2014 BMW ActiveHybrid 3?